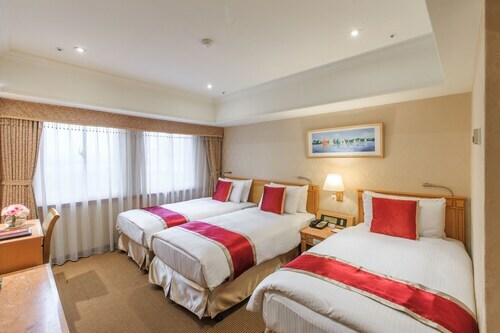 Located in Ren'ai District, this hotel is within a 15-minute walk of Port of Keelung, Miaokou Night Market, and Dianji Temple. YM Oceanic Culture and Art Museum and Statue of Guanyin are also within 1 mi (2 km). Keelung Station is 16 minutes by foot. Are you looking for a break from the hustle and bustle of your day-to-day life? Do you want to escape reality and forget about your never ending to-do list? 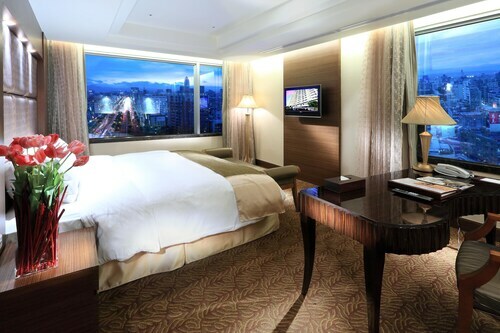 Then why not treat yourself to a relaxing stay at one of the spa hotels in Keelung City Centre? 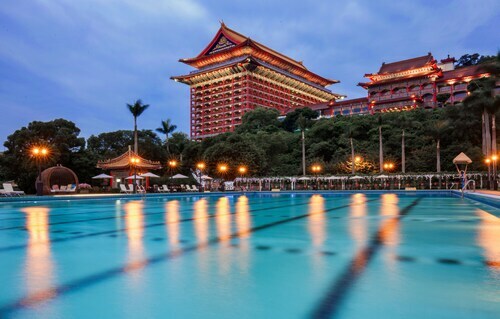 Whether it is for a weekend getaway or a staycation, book your visit to one of the Keelung City Centre luxury spa hotels. 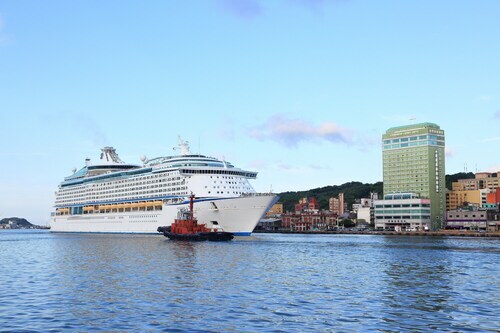 With all of the amazing things to do around Keelung City Centre, you will likely be worn out from sightseeing. The Keelung City Centre spa hotels provide top of the line facilities with hot-tubs, saunas and private treatment rooms. Treat yourself to an indulgent hot stone massage or facial to rejuvenate from a busy day. If that's not enough for you, indulge in a full day-at-the-spa package. And maybe you are just looking to reach maximum relaxation before a fancy night out on the town. Take advantage of the salon features offered at most Keelung City Centre spa hotels and get a mani-pedi before your evening begins. Travelocity wants to help you relax and rejuvenate during your next stay in Keelung City Centre, but we know that spa treatments can put some strain on your wallet. Bundle your hotel and flight together and save enough to pay for your facial! Great experience. Staff are helpfull. I will be back. The Grand Hotel has a unique Chinese structure. It also has an easy access to tourist attractions. We love the buffet. It has so many food selection to choose from. Great location, very nice, clean, comfortable hotel with friendly, helpful staff. Offering many amenities like money exchange at the front desk, complimentary bottled water daily, concierge services for taxi and tours. 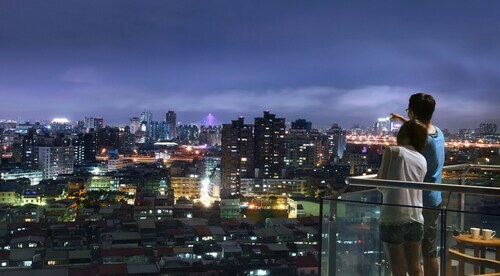 Walking distance to the XiaoNanMeng metro station, XiMenDing Night market, many stores like 7Eleven, McDonalds, shops. I had stayed at the Okura in Macau and had an amazing experience, so I already had lofty expectations for the Okura in Taipei. The hotel surpassed my expectations. It was such a wonderful experience, I didn't want to leave. The room layout was Japanese with the toilet in a separate room from the bath. A Nespresso machine in every room and free bottles of water really made the stay welcoming. There is a 7-Eleven directly behind the hotel, so late night snacking is covered. The breakfast buffet was amazing and covered every possible palette. From the moment I checked in, until the moment I checked out, the staff was ready to assist with every detail. 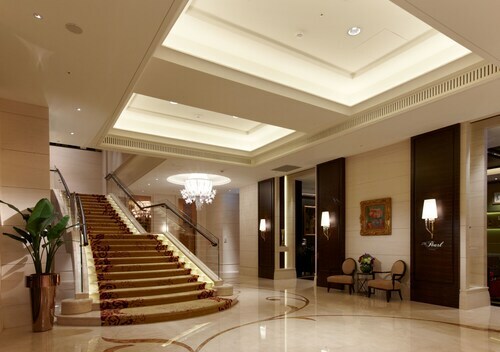 I was impressed with the cleanliness of the hallways, lobby, the room, and bathroom. The breakfast buffet was excellent. The location was extremely convenient, being right next to the Main Railway Station and subway. The airport bus stop was just a short walk. Shinkong Mitsukoshi Department Store was a block away with shopping and eating. I will definitely be staying at Cosmos the next time I come to Taipei.